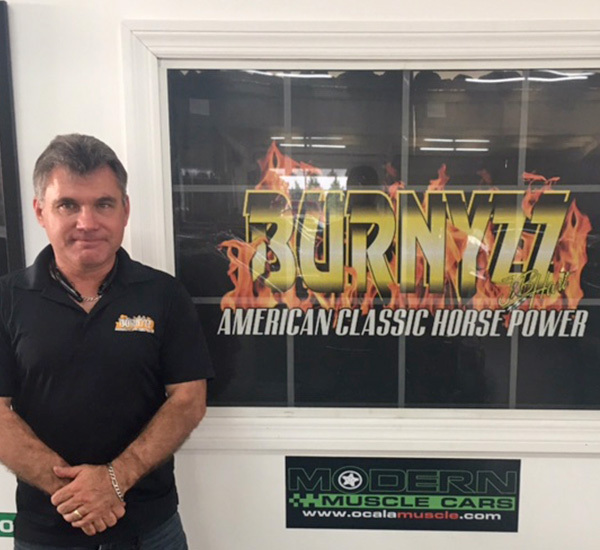 The Burnyzz team is dedicated to making sure you're well taken care of, from sales to service and beyond! Our superstar detailer. He is currently in high school and received the Eagle Scout of Honor this past December. Chris takes care of detailing all of our classic beauties in the showroom and prepping them before we list them for sale. Since coming home from the hospital in a 1964 1/2 Mustang, Tony was destined to be "The Mustang Guy". 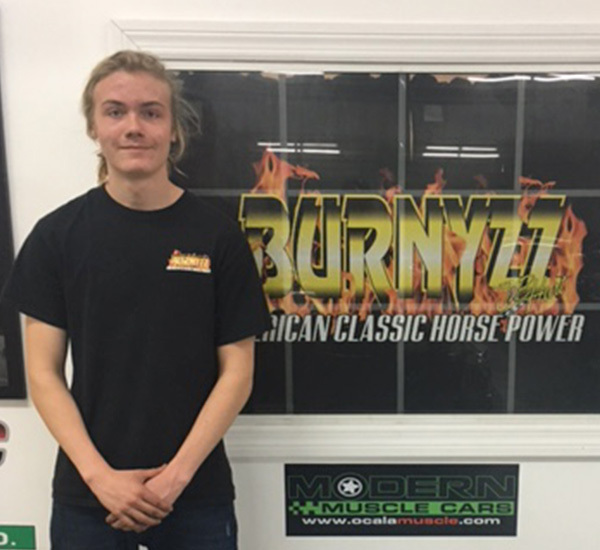 At the age of 15 Tony had his first experience with tearing down and rebuilding a Mustang! Tony starting tuning carburetors and distributors in the mid 80's, fuel injection in the early 90's and so on! Not only is Tony the 'Tuning Guru' he has also served our country for many years. Tony enlisted in the Navy at the age of 17. Don't let the nickname "The Mustang Guy" fool you, he can tune just about anything you can throw at him. He enjoys traveling the world making cars go faster. In his free time you will often find him spending quality time with his beautiful wife and children! Wrench turning extraordinare Albert is our superstar technician. There is nothing he cannot fix, no problems he cannot solve. With a friendly and outgoing personality, his abiliti es and knowledge make him a valuable asset to our team. In his off time, Albert enjoys working on his Mustang drag car, and spending time with his family. With years of experience, Kenny is a true artist and craftsman of the upholstery trade. If you can dream it, Kenny can turn it into reality. From seat repair to full interiors and custom consoles or speaker enclosures, he truly enjoys his work and its shows in the quality of the results.